Blowing on Embers: I came across this lovely phrase the other day. Have you ever sat around an evening campfire? Remember how when it started to die out and you weren’t quite ready to call it a night or maybe you wanted just one more toasted marshmallow, you blew on the embers to keep the fire alive? Well, Johanne from www.sunnysideheanne.com has put a new spin on that old tradition. After she lost her father, mother, and a special aunt, all within a year, Johanne and her sister wanted to make certain they wouldn’t forget their own story. They began a new family tradition—trading stories of childhood memories. In other words, they began blowing on embers of the dying fire of their family’s personal history. Reading Johanne’s story, I immediately identified with the concept. Recalling memories is a favorite pastime around here. It’s why I create and peruse photo albums and scrapbooks. And it’s what I do with much of my writing. I’ve told children and grandchildren about memories from when I was no more than two years old, one from even earlier in my life. These “memories” are actually no more than snapshots in time, and I’ve come to realize I don’t so much remember them as I remember the remembering of them from stories told and retold. But that’s the point, and it’s why it’s so important to keep recounting them. Reminiscing is a social activity that gives meaning and coherence to our personal narratives. It keeps family history alive. It triggers nostalgia, and nostalgia gives us an endorphin boost, improving our mood and making us feel better able to tackle whatever challenge we face at the moment. Memories, especially childhood ones, are fragile. Without jogging them, they fade, ultimately dissolving, like a morning fog, into nothingness. Yet, our early moments are powerful ones, shaping our lives. 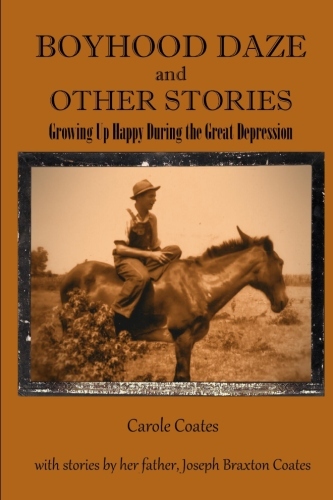 As we weave the vignettes into a whole, our life stories emerge. We better understand who we have become. The accumulation of childhood memories, even those enhanced by retelling, also influences our on-going behavior. There’s evidence that when childhood memories are triggered, we behave more kindly and ethically towards others. Our memories, it turns out, serve as a moral compass. So let’s get to work. I’ll be blowing on my own embers on this blog. Maybe the glowing coals of my stories will spark some of your fondest childhood memories. Share them. It will do you—and the world around you—good. I’d love to hear your stories. Feel free to share them in comments beneath each post. I Blog For Mother Earth News! 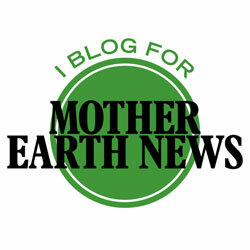 I’m excited to announce that I’ve been accepted as a blogger for Mother Earth News. If you’re a regular reader, you know a little about Mother’s influence on me. There’s this favorite soup recipe for instance. This opportunity solves a blogging conundrum that’s been bugging me for awhile. My broad interests may sometimes make my Living on the Diagonal blog disjointed and, depending on readers’ interests, sometimes irrelevant. 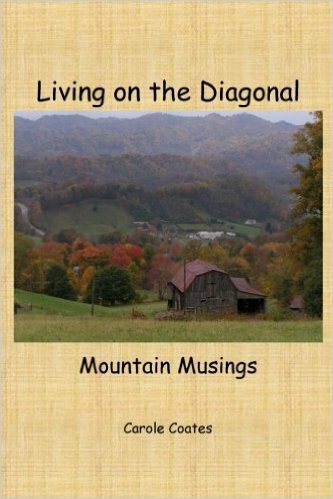 From now on, Living on the Diagonal will focus on personal essays, miscellaneous musings, daily life up here on the diagonal, and a little poetry and photography. While you may still find a few gardening, food, or modern homesteading posts here, I’ll be posting most articles of this sort to the Mother Earth News site. By all means, come on over and check me out. You’ll need to use this link to my tag page to find me. It’s not easy to remember, so make it easy on yourself and bookmark it: http://www.motherearthnews.com/search?tags=“Carole%20Coates”. I expect to be posting to Mother Earth News every two weeks or so while maintaining my current schedule of weekly posts to Living on the Diagonal. Thanks to everyone for your continued interest and support of my blogging. Oh, goodness! I just realized I never published this last post about our almost-cross-country road trip last fall. If you’ve been following along, you may recall that way back in May and early June, I wrote a five-part series about some pretty magnificent sights we were lucky enough to visit—natural wonders, national parks and monuments, historic sites. We managed to fit in a few typical touristy things, too. After the Badlands (already covered here), we made a quick side trip to the Corn Palace in Mitchell, South Dakota, another of those things I’d heard about and yearned to see for years. Pretty amazing, especially when you learn that the organizers, all volunteers, put up an entirely new display with a different theme, every year. The 2016 theme was Rock ‘n’ Roll. I know you recognize this guy! This one, too. These murals are made of nothing but corn (over 275,000 ears, 13 different shades, no dyes) with a couple of other grains and native grasses used for the borders. It takes about four months each year to complete the decorating process. See? I told you it was amazing. There are more corn scenes inside—and it’s all free. We began seeing signs for Wall Drug a full three hundred miles to the east, another of those legendary “must see” places. Is it blasphemy to say we were a little disappointed? I’d expected to see a huge store—after all, that’s what they advertise—but it’s really a jumble of individual shops, many of them selling identical or nearly identical items, and most of them your standard souvenirs. Besides, we’d have had to wait an hour or so even to get one of those famous doughnuts we’d been drooling over for several hours’ worth of roadside ads. Just not worth it with the Black Hills in our near future. In Rapid City, South Dakota, we spent a couple of hours at the Dahl Arts Center. I was flat out gobsmacked by the 180-foot oil-on-canvas panoramic cyclorama mural depicting 200 years of U. S. economic history, painted by acclaimed muralist Bernard P. Thomas. I sat in the center of the room for more than an hour, my eyes and brain soaking in every single scene. Pictures wouldn’t do it justice. If you’re ever in the area, check it out. It’s a hidden gem. Admission to the Dahl is free. While we were in Rapid City, we drove out to the Chapel in the Hills. The chapel itself is an exact reproduction of the famous Borgund Stavkirke of Laerdal, Norway. I felt like this stop was a little extra tribute to my Minnesota cousins, who have Norwegian ancestry. We were first greeted by the “Stabbur,” an authentic grass-roofed storehouse which serves as the Chapel’s visitors’ center. It was built in Norway and assembled on site. The grounds, complete with wooded trail, are lovely. The perfect place for a quiet, reflective afternoon. You can see pictures and learn more about the architecture here. In lieu of an admission fee, goodwill donations are accepted. In Lolo,Montana, we visited Traveler’s Rest, the only archaeologically verified campsite of Lewis and Clark’s Corps of Discovery. Without knowing it, we were stalking Lewis and Clark for much of our trip, so this stop was pretty cool. I’ve already written about our too-brief visits to Glacier, The Grand Tetons, and Yellowstone National Parks, all of which qualify as typical tourist attractions and stupendous natural wonders. Here are a few last miscellaneous looks at our trip. When I was a child of eight, I had one—and only one—goal in life: to become a movie star. My parents, as if my dreams had wings, did their darnedest to dissuade me. Every time I waxed poetic about life as a Hollywood starlet, they responded with some sort of negative. The probably mentioned how unlikely it was to succeed in show business or brought up the hardscrabble life of acting wannabes, raising the specter of years waiting tables for tips as I waited to be discovered. Maybe they said those things; maybe not. I only remember one overarching argument against an acting career: actors are always getting divorced. They waved their prime example, Elizabeth Taylor, in my face. But I had the perfect eight-year-old comeback: “Not Debbie Reynolds and Eddie Fisher!” They were my proof positive that acting could be divorce-free. And then my idols went and ruined it for me. I guess you could say Debbie and Eddie—and Liz—are the reasons I never made it on the big screen. It only took one play to hook me on acting. For that, I thank our ever ebullient drama director, Dorothy Murphree, who made it so much fun. (The cast party didn’t hurt, either.) I portrayed a Chinese child in our church play about Lottie Moon, a Baptist foreign missionary.